Regalia has been a major part of the fair industry. We are a family owned business which strives to put our customers first. We manufacture award ribbons, rosettes and banners. We also have a full line of pageant supplies, flags, trophies, plaques and advertising specialty items. If your event needs it, we can supply it. If by chance we do not have what you need, we will be happy to locate it for you. 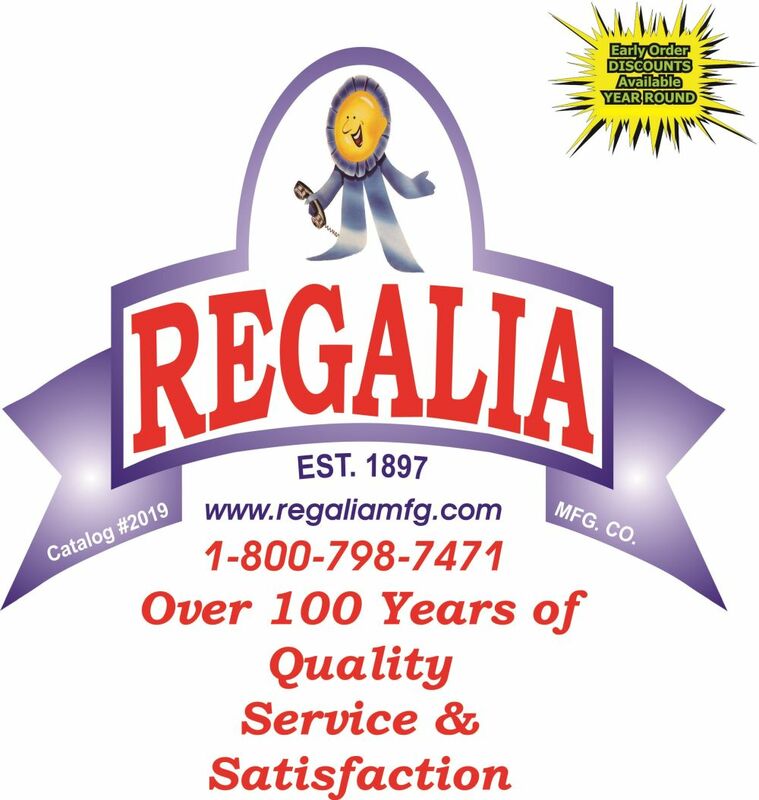 Regalia has been helping to make fairs and other events a success for over one hundred years. We would be proud to be a part of your event. For a free catalog please contact us by email at jennifer(at)regaliamfg(dot)com or by phone at 800-798-7471. Your request will then be given to your personal sales representative who will help you with all of your needs.